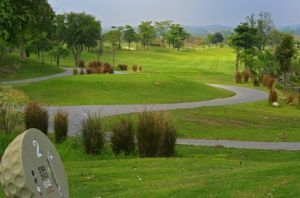 Tough opening hole as you tee off over water and there is a strategically- placed bunker blocking the path to the fairway. The green offers a pretty small target and is protected by bunkers both sides. 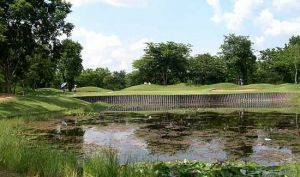 The 2nd is a dogleg Par-5 with a large lake on the left and a narrow and landing area for your second shot and the green is very well protected by two large bunkers either side. Another dogleg for the 3rd hole – bending to the right this time with a large waste bunker along the left and two huge bunkers either side of the green. 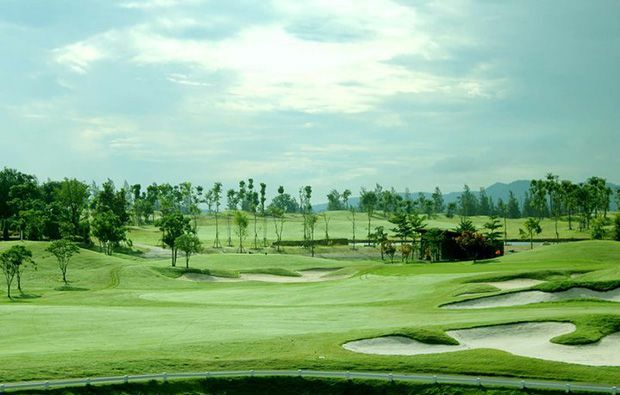 The 4th hole is a very long par-3 with bunkers to the right and behind so better to aim left. The 5th is an almost carbon copy of the 2nd – a par-5 dogleg left but with a large fairway bunker protecting the tiger line. Plenty of bunkers on the par-4,6th but aim left of the fairway and you should avoid them – two huge bunkers to the left of the green and another to the right. The 7th is a shorter par-3 with a water hazard to the right of the green and tow bunkers to the lefty – not much room for error here. 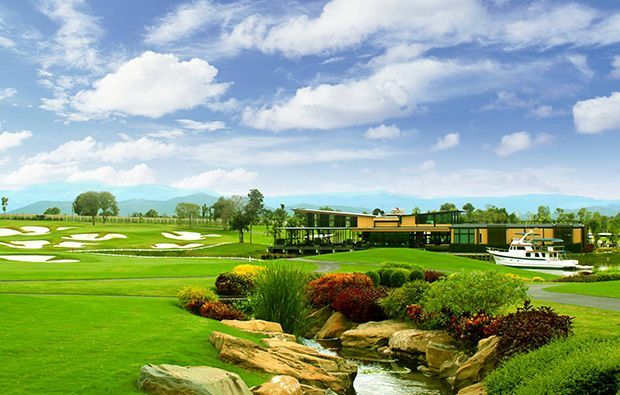 The 8th is a very interesting hole – a large water hazard to the left of the tee boxes and two large fairway bunkers which will be out of reach for all but the biggest hitters and then a narrow approach between two more bunkers onto the green. Only issue with the 9th is to find the fairway off the tee and avoid the two fairway bunkers and then the green is pretty wide open. The 10th has water hazards both sides and a stream cutting across the fairway around 100 yards from the green which has bunkers both sides. 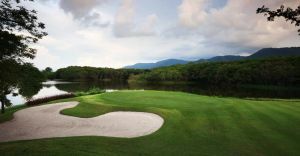 The par-4, 11th has water in front of the tee and running along the left of the fairway most of the way to the green – a large bunkers waits for the pushed tee shot and three large bunkers protect the green. The 12th is a brute of a part-5 with 9 bunkers blocking your way – 5 either side of the fairway 3 more surrounding the green. Equally difficult par-3, 13th which is not only long but has 4 large bunkers all the way round the green so correct club selection is essential. The 14th is another par-5 typical of this courses with fairway bunkers both sides and a large bunkers in front of the green. Some relief on the 15th which is a simple par-4 with e aide landing area and if you can play to the left of the fairway the green is wide open. 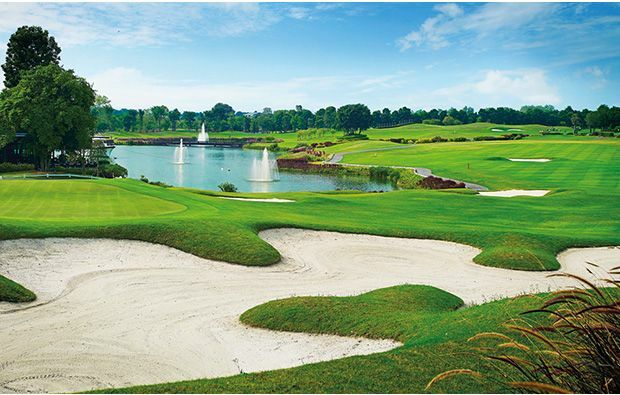 Main problem on the par-4, 16ht is the approach to the green with water tight to the left hand side and a bunker to the right – don’t want to end up there as bunker shot straight towards the hazard is very tricky. The 17th is a medium length par-3 with two huge bunkers left and right of the green – plenty of room at the back so take plenty of club. 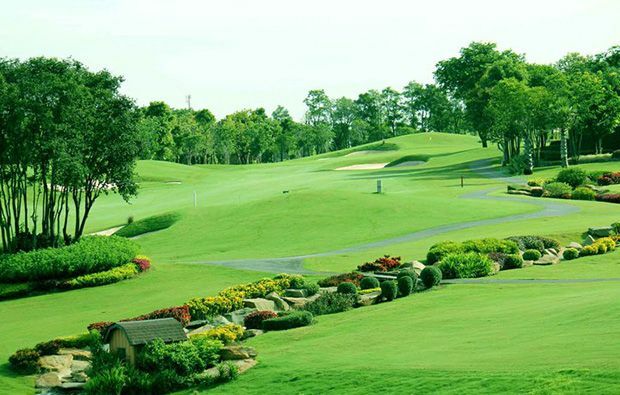 A driveable par-4 to finish but with water to the right of the fairway and a very well protected green then you need to be brave to attempt this. 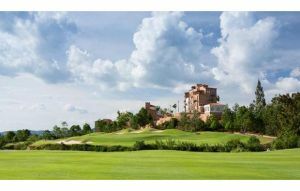 D Varee Charnvee Khao Yai Golf Club is not yet in our pool of Golf Courses for orders.